Ihor Nasalyk, Ukraine’s Minister of Energy and Coal took the step of saying his country can survive without nuclear fuel imports from Russia, and can easily replace the supply for its Soviet-built reactors by buying fuel from other countries, the Bellona Foundation wrote in a report. The remarks represent a major departure for Kyiv, which since 1991 has been heavily dependent on Moscow to fuel the four operating nuclear power plants built on its territory while it was still a part of the Soviet Union, Bellona reported. The fuel shift also represents an assertion of Kyiv’s budding political independence from its hostile neighbor. As recently as three years ago, when Moscow began its military incursions into Ukraine’s east and annexed the Crimean Peninsula, Russia was still supplying 95% of Ukraine’s nuclear fuel. Over the course of 2017, Nasalyk said in remarks late last month that the share of nuclear fuel Ukraine was importing from Russia had fallen to 60 percent. He added that over the next year, that figure would fall even further to 45%, with 55% of the country’s nuclear fuel coming from the U.S.-based Westinghouse and a handful of other western firms. Read alsoTender for Ukraine-EU Energy Bridge partner to be called early in 2018Nuclear power produced by Ukraine’s 15 Soviet-built VVER type reactors accounts for more than half of the energy produced in Ukraine. However, Ukraine’s nuclear fuel dependence has not been lost on Moscow. Dmitry Rogozin, Russia’s pugilistic deputy prime minister for military affairs, threatened in May of 2014 to cut off Ukraine’s supply of nuclear fuel after Moscow’s military incursions and propaganda war heated up – a freeze that would have threatened the safe operation of Ukraine’s reactors. Read alsoBill on completion of two Khmelnytsky NPP units to be tabled in early 2018Moscow is keen on using fuel embargoes to hammer away at political points, and Kyiv has learned its lesson well. The Ukrainian capital began a not-always-smooth collaboration with Westinghouse to start testing western nuclear fuels, and in the heat of hostilities with Russia, Kyiv hastily announced that by 2015 it would begin importing loading the U.S. company’s fuel in some of its reactors. Over the past year, the Westinghouse supply to Ukraine has evened out, and stands to increase. In the meantime, Kyiv is making some attempt to wean itself off its oversized dependence on nuclear energy by opening up parts of its territory to solar energy. Read alsoEnergoatom, Westinghouse to increase nuclear power plant capacity in UkraineOne of those areas is in the carcinogenic wastes surrounding the Chornobyl disaster zone. An investment program announced by Ukraine’s Ministry of Ecology is seeking to offer cheap land leases and access to power transmission infrastructure to European and Asian companies willing to build solar panels on the site of the disaster. 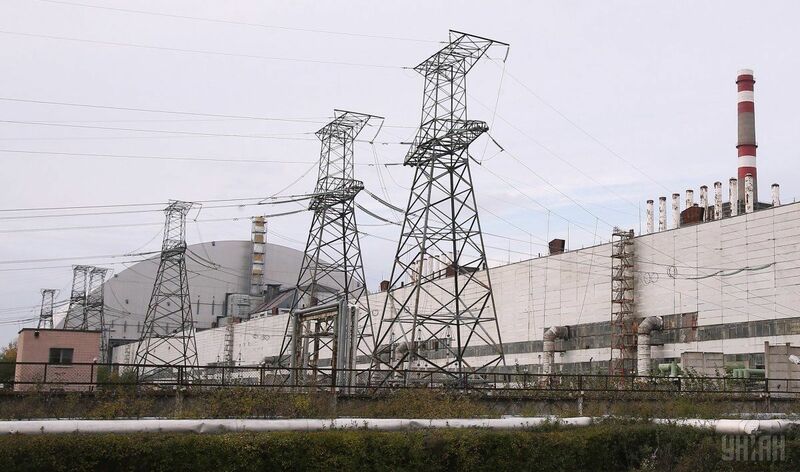 If the investment program bears fruit, it is predicted that Chornobyl zone solar power could end up supplying half the energy that the ruined plant used to produce.